If you’re in the business of dealing with electronic parts components, you’ve come to the right place. At IC Plus, we buy and sell all types of obsolete, surplus and hard-to-find electronic parts components from leading industry manufacturers. We deal only with the highest quality parts on the market, so you never have to worry about the integrity of the parts you are ordering. Whether you are looking to purchase or sell, as one of the most trusted electronic parts distributors in the industry, we are here to help you do exactly that. We have ensured that we provide a wide array of options, adaptable to your unique situation and inventory needs. Say, for example, that you want to sell surplus crystal oscillators. Your stock has grown too large and you have obsolete or excess parts you need to get rid of, or you ordered too large a quantity for your business or project needs. At IC Plus, our certified sales technicians can help you get your inventory down to manageable levels today. 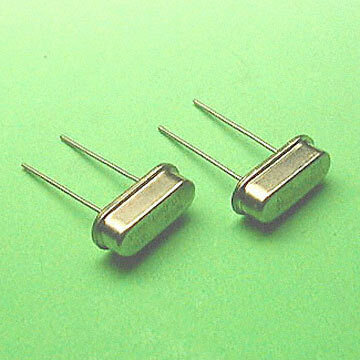 So, if you need to sell surplus crystal oscillators, we can help. You have the choice of selling your entire excess stock outright, whether your parts are new or surplus, allowing your company to immediately clear out that much-needed warehouse space and recoup a single cash sum for the entire lot. Or, we can assist you in setting up a consignment for those oscillators at our bonded warehouse facility for maximum returns on your investment. Our professional warehouse staff members are specialists in quality-control and will diligently manage your consignment on site. Because we have spent two decades developing a massive international client base, we are experts at connecting you with buyers from all over the world and can help you move your inventory quickly and securely. Clients know that our stock is one of the largest, and always growing. We ship overnight and have developed a reputation for speed and quality which sends many buyers to us before looking elsewhere. So when you want to sell surplus crystal oscillators, obsolete integrated circuits or those diodes that have been taking up space in your warehouse for far too long, we can make it happen fast. If you prefer to maintain your inventory at your own location, we can also assist you with setting up a consignment at your site. We understand the diverse business needs of all the manufacturers, distributors and clients we help on a daily basis, which is why we work hard to find a customized solution for any inventory management needs you may have. Speak to one of our trained sales technicians today to find out how IC Plus can help you.